Visa is by far one of the most well known stamps found on credit cards across the globe. Many companies such as hotel chains, restaurants and airlines team up with Visa to offer cards that are specifically designed to meet your needs. 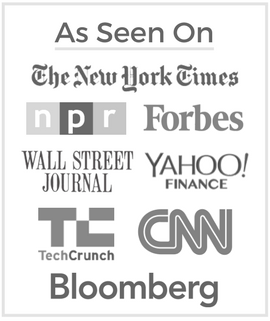 Choice Hotels is one of those companies. 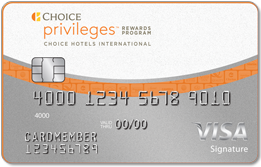 Following suit with the crowd, Choice Hotels has paired with Visa and Barclaycard US to offer the Choice Privileges Visa Signature Card with benefits and rewards geared towards the habitual Choice Hotel customer. Let’s take a closer look. With the Choice Privileges Visa Signature Card, you not only get all of the Visa Signature benefits, but you also get to take advantage of the tr﻿﻿avel hotel﻿﻿ rewards. Their rewards program is actually pretty generous. You can earn 2 points for every dollar you spend with your card on everyday purchases. You can earn 15 points for every dollar you spend at Choice Privileges locations. You can get 5 points for every dollar spent on Choice Hotels gift cards. There are tons of ways to earn extra points. Within 90 days of opening your account, you can earn an additional 32,000 bonus points once you spend $1000. You can then get 8,000 additional bonus points each year when you spend $10,000 by the anniversary date on your card, just as an added thank you for being a cardholder. These points can be redeemed on hotel stays. When using your points for hotel stays, there are some added perks to consider. Your points will never expire, as long as your card is active. You can earn unlimited points. You don’t have to worry about blackout dates. You can also redeem your points for airfare, travel rewards, gift cards, magazine subscriptions and much more. You can even use partial points to help pay for hotel stays. Other perks that come along with this card include extended warranty protection, access to VIP events, automatic gold upgrade, and access to concierge service. There are also security benefits, such as chip card, and fraud protection. These are just to name a few. Now that we know a little bit about the benefits that come with the Choice Privileges Visa Signature Card, it is time to look into the rates and fees. The great news is that there is no annual fee for being a cardholder. This is not usually that common among rewards cards like this one, so take advantage of that! If you make a balance transfer, there is a fee of either 3% or $5. If you get a cash advance, there is a fee of either 5% or $10. Foreign transactions have a fee of 3% of the total amount of the transaction. There are also penalty fees of up to $37 for late or returned payments. Be careful of this, because these penalty fees are completely avoidable. When it comes to the interest rate, or APR, you will notice that it can be either 16.24%, 20.99% or 25.99%. The ranges depend on market rates and your creditworthiness. This is also the rate for balance transfers, unless they are made within 45 days of opening your account. These transfers are eligible for an introductory 0% APR for the first 15 billing cycles. Cash advances have a 26.24% APR, which is higher than regular purchases, so be aware of this. All rates are variable. So, just how does the Choice Privileges Visa Signature Card stack up in comparison to other cards on the market? It seems that the zero annual fee is not the only thing that it has going for it. The interest rates are pretty competitive as well, especially if you are creditworthy. If you do a lot of traveling state side, then this may be a great card for you. If your travel is done mostly abroad, however, then you may consider a card that doesn’t have foreign transaction fees. These are just a few things to consider when you are making your final decision. Weigh out the advantages and apply today to see if you are approved. The approval process is pretty much instant, and you can apply online and know within moments.